If you’re pregnant, or have already had your baby, these Karma Klasses are built for you. Karma Klasses are by donation with proceeds given to Mom2Mom Charity. Join us for a 30 min yoga class, followed by a 30 min informal workshop. Topics will change each class and will be focussed on prenatal and post-natal subjects, such as pelvic floor health, nutrition, doula support, essential oils, chiropractics and more. Come together as a community, meet other mamas, stretch, breath and walk away with some seeds of knowledge to help you along your wondrous journey. Mom2Mom improves the lives of families isolated by poverty through strength-based relationships and by creating opportunities. They are a Vancouver-based charity that aims to reduce poverty-related stress and ensure basic needs are met for families. They offer resources and build relationships for moms in the community. They know that when mom thrives, kids thrive! To find out more, click here. Proceeds of our Karma Klasses will be donated to the Mom2Mom initiative. To register, email us at salina@kukoonyoga.com for program details. This Karma Klass will focus on our bits and the importance of maintaining, restoring and conditioning our pelvic floor muscles (for women who are either pregnant or have already had their babes years ago). 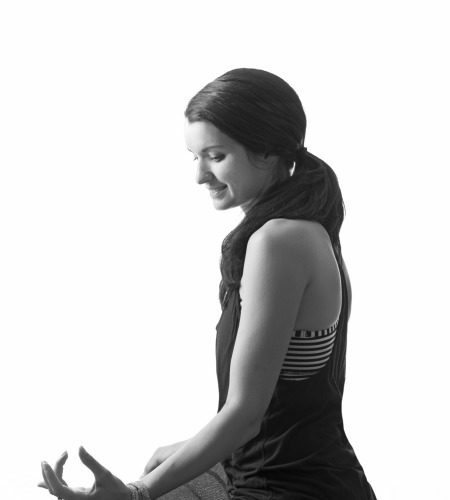 Lacey will give you all the juicy details about pelvic floor health in her 30 min workshop. Our next 30/30 Karma Klass will feature strategies to help you and your family “go the f$ck to SLEEP”! In this thirty minute workshop, Ine will talk about baby and toddler sleep patterns and the most common issues she’s faced as a consultant. So come to move, learn with us, then go home to sleep!